When my good friend Margo and I set off in 1980 for 3 weeks in France, I knew that I wanted to set a book there, but I didn’t know much more. I loved France, but my knowledge of French history pretty much stopped in the 18th century. Was I in for a surprise! After a few magical days in Paris, we began our journey south and soon arrived at Chateau Fontainebleau, which appears at the end of Y&NO (and a lot in OF ONE HEART, the second St. Briac novel). It was there that we first met King Francois I and from that moment on he dominated our journey. Now stags, now women! It made Margo & me laugh, yet those words fired my imagination. 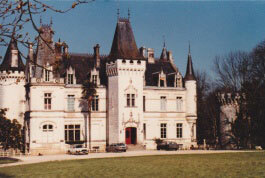 Later in our trip, we stayed farther south in a little chateau-hotel called Nieuil. It was tucked away in the woods – and to my delight, I learned that it had once been Francois’s hunting lodge! 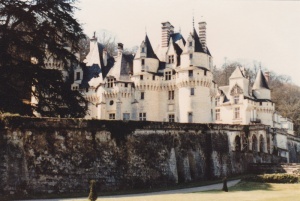 This was the scene for the party at the beginning of Y&NO, and it was in the woods surrounding the chateau that Aimee and St. Briac first met. 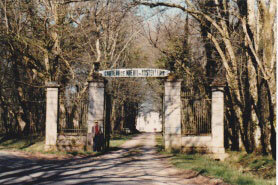 Here’s Margo outside the entrance to Chateau de Nieuil, and a view of the woods where the king loved to hunt! We took a long walk through those woods, and I could imagine the king and his comrades riding after a stag or a wild boar. And here is the chateau’s entrance area. St. Briac and the king stood at the top of the stairs, overlooking the guests, when Aimee arrived with her family (much to the shock of St. Briac!). The next stop for the court was the Chateau de Blois. This is the courtyard that appears in many scenes in Y&NO. The brick Louis XII wing is straight ahead and the Francois I wing with its famous circular staircase, is to the left. If you look closely, you can see the king’s salamander emblem on the balconies. This room is the Hall of Honour. 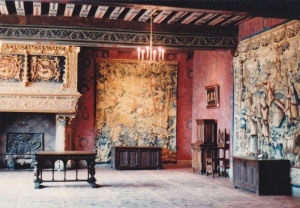 The magnificent fireplace features the salamander on the left and the ermine on the right – the emblem of Queen Claude, who died in 1524. And note the beautiful hand-painted ceiling. 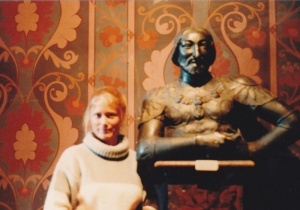 Here is Margo in Chateau de Blois, side by side with Francois, who looks very pleased with himself! 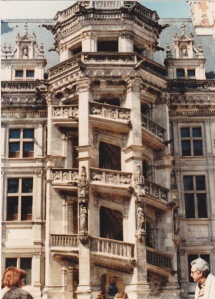 One place we didn’t go was the grandest chateau of all – Chambord, where St. Briac and Aimee were married. I had to include an image of it! It’s also on the cover of YOU & NO OTHER. 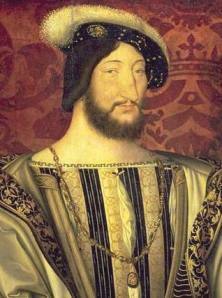 This was King Francois’s most magnificent achievement, but he was in residence less than 3 months. The double spiral staircase described in Y&NO was probably designed by the king’s friend, Leonardo da Vinci, before his death in 1519. 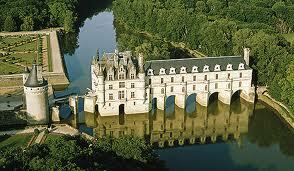 Margo and I had a wonderful time in Amboise, staying in a duc’s chateau near the bridge. Here is a beautiful photo of the great Chateau d’Amboise, with the village and the Loire River below. This was the site of St. Briac’s joust with Chauverge and the rampage of the wild boar into the king’s apartments. 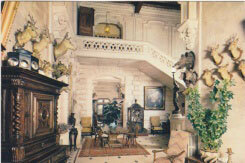 I heard the wild boar story when I was at the chateau and had to include it in Y&NO! Finally, after St. Briac and Aimee worked through some of their “issues” (smile), they went home to Chateau du Soleil. 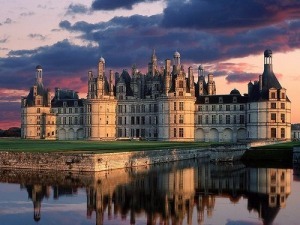 I based that chateau, which appears again in OF ONE HEART, SPRING FIRES, and NATALYA, on the real Chateau d’Usse, which also is located in the Loire Valley and backs up the Forest of Chinon. I knew the moment we arrived here that this would be my hero’s home. 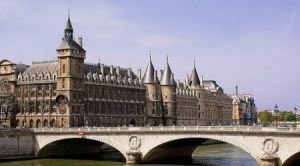 Finally, I wanted to include an image of the Conciergerie – the prison where Georges Teverant was being held before his scheduled execution in You & No Other. The first time I saw it was at night, magnificently lit with spotlights, as we returned from a performance of Swan Lake in Paris. It immediately captured my imagination! 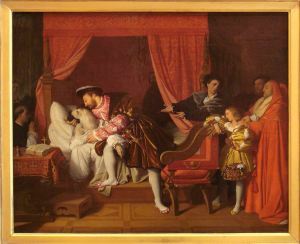 The world of St. Briac, Aimee, and King Francois became completely real to me as I wrote YOU & NO OTHER – in part because I had been able to travel to France and experience the sights and history of the Renaissance first-hand. I hope you enjoyed this tour “behind the novel!” I plan to create similar posts about my other books and I hope you’ll sign up to join me! Sign up for my occasional newsletter to receive announcements of new books, contests, and more!